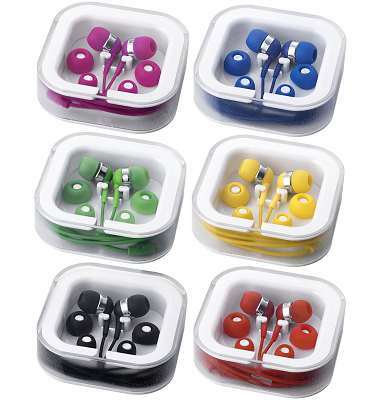 Coloured earbuds. 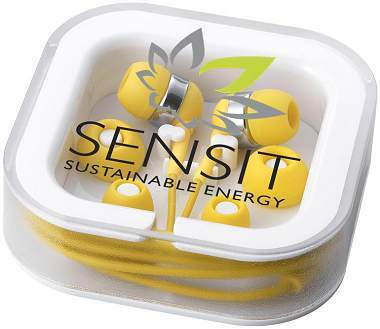 Super lightweight stylish earbuds. 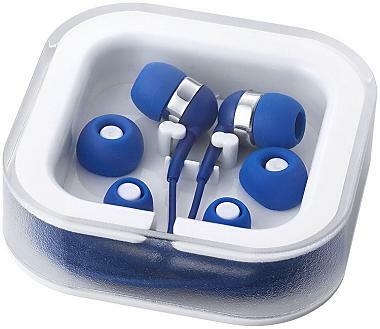 Can be used on smartphones, tablets and all music players with a 3,5mm audio jack. Includes a handy storage box printed with your promotional logo. Cable length around 116cm. 3.5mm audio jack. Transducer: 9U, Impedance: 32Ohm Sensitivity: 120dB at 1KHz, Frequency response: 20Hz~20KHz Rated Input Power: 5mW, Maximum Input Power:10mW. PVC cable. Print Area: Opening on bottom, On circle panel.